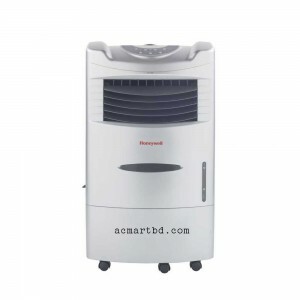 Evaporative air cooler now available in AC Mart outlets with different model and sizes. 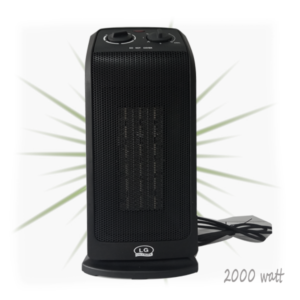 Personal and room coolers are available. 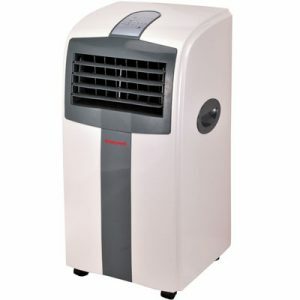 Now a days Evaporative air coolers are very popular as of PERFORMANCE and user friendly. 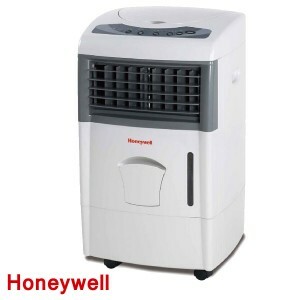 It is a compact and moveable water based cooling technology. 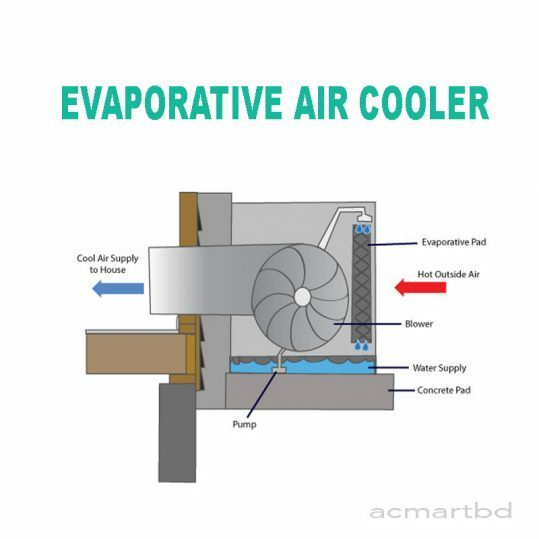 Evaporative air cooler is a water based cooling technology. A cooling pad called honeycomb cooling media. This cooling pad is used to cool the air. Basically the cooler uses water to pass through the cooling pad. The temperature of the water makes the honeycomb cooling pad cooler. 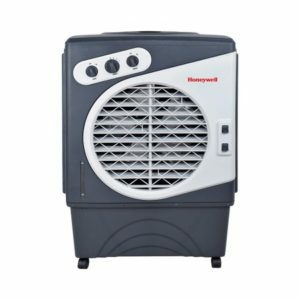 A strong blower fan used to make high flow of air for evaporation system. This high air flow while passing through the pad, makes the air cool. 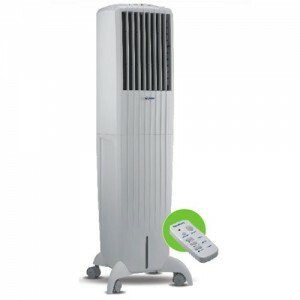 Evaporative air cooler has no Compressor inside. 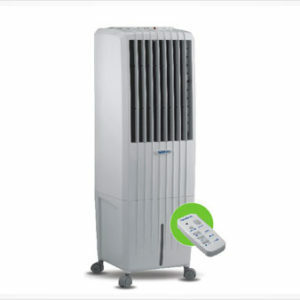 The compressor model called the portable air conditioner. 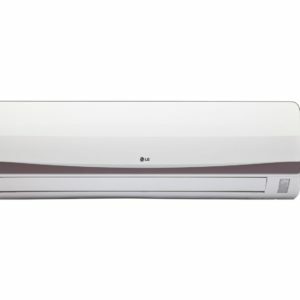 You will also find and compare prices here. 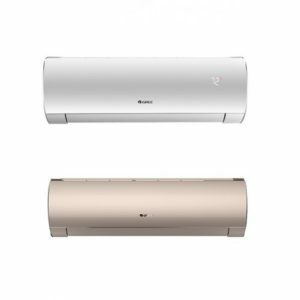 The compressor technology uses the refrigerant to cool the copper tube. 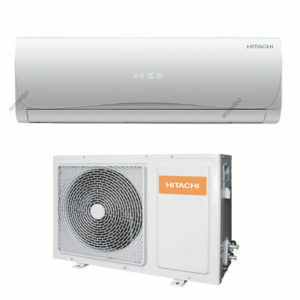 Different types of refrigerant used to cool such as R22, R410A etc. 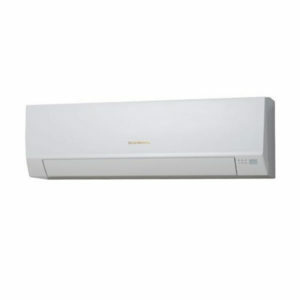 This gas based technology consume more power to operate. So, the electricity bill is much higher. 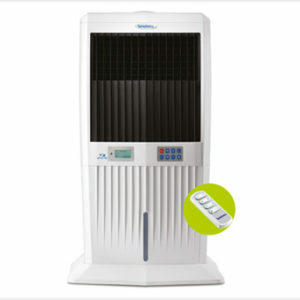 Air Coolers are very cost effective also. 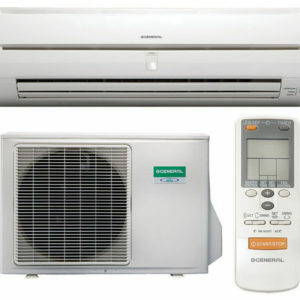 You can also compare the Air Cooler price Bangladesh. 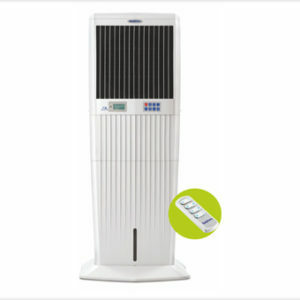 Not only the purchasing price is low for an air cooler, also the reduced electricity bill. 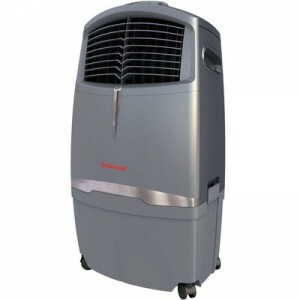 This type of cooler is light weight. So easy to carry and move one place to another. 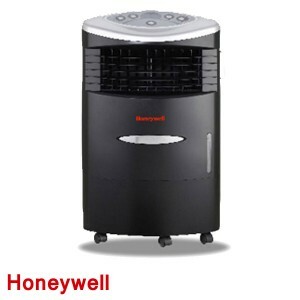 Now a days, evaporative air coolers are becoming very popular. It is not only stylish, also value of money! 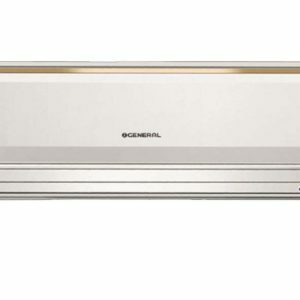 To use the maximum effort from an air cooler, you have to maintain some cautions and clean it regularly. 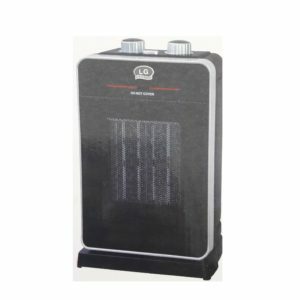 As the water tank is made from ABS or plastic, it can be affected by bacteria and virus. So, the water can be polluted by it. 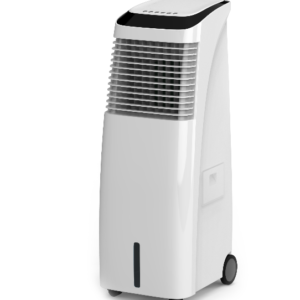 As a result, the affected water can affect the air also. It the recommended to clean 1 time in a month with some anti-bectrial solution. And dry it before using it again. Brand new and 100% Genuine product. One year official warranty with all spare parts. 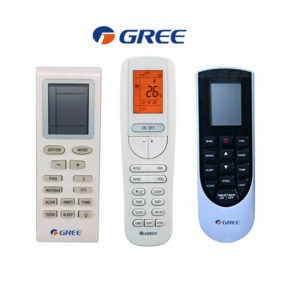 Warranty can be extended up to 3 years while buying with us. Wheels for portability or mobility. 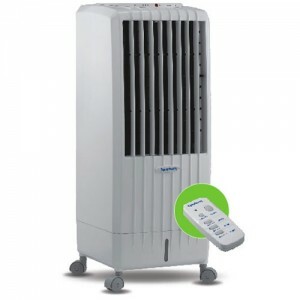 Long lasting cooling pad for durability. Home delivery for all the district in Bangladesh.